Written on March 26, 2015 . Posted in Announcements + Updates, Architecture and Design. 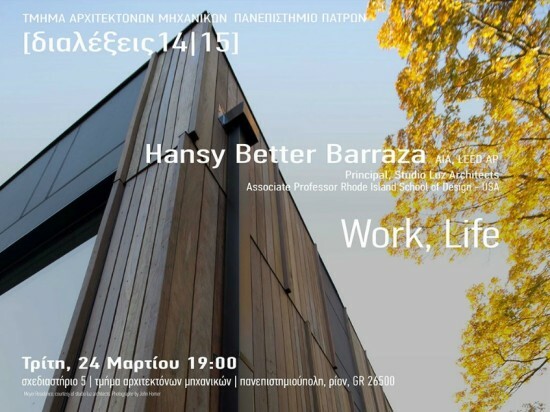 Hansy Better Barraza (Associate Professor, Architecture) gave a lecture yesterday at the University of Patras, Greece. During spring semester 2015, she is leading a collaborative studio with Demetra Katsota between RISD and the Department of Architecture, University of Patras.